Tired of your crows’ feet, forehead wrinkles and sagging brow? Botox may be for you – read on to find out. Botox is a trade name for the toxin that Clostridium botulinum produces. Many people dwell on the fact that this toxin can cause botulism poisoning (which is true), but when used in very small, controlled and diluted amounts, it has proven to be a safe yet powerful neurotoxin effective in treating wrinkles. Botox® works by standing in the way of the signals sent by certain muscles, not allowing them to reach the brain. Thus, the muscles do not contract, causing less wrinkles. Over time, the skin’s memory fades as the muscle remains relaxed and the wrinkles reduce accordingly. This varies slightly among patients, but you can expect results to last approximately three to four months. After that, the instrument of action within the Botox® wears off. Some women are able to move the muscles gradually for a month or two before seeing signs of wrinkles returning. Luckily, Botox® has been tested, FDA-approved and safely treating wrinkles for decades, so receiving multiple treatments to maintain the reduction of wrinkles is acceptable. This also varies among patients depending on their thresholds for pain. Other factors, such as the injection site, number of units injected and whether or not your doctor uses a numbing agent will make a difference. If you have a particularly low threshold for pain, speak with Dr. Steve Ahmed about this; however, most people report minimal discomfort from the procedure. You may experience temporary redness and swelling at the injection site. You may also experience bruising at and around the treated area. Results should be visible in a few weeks. You will notice the difference in the muscle’s ability to move before you see the actual lines in the skin soften and become less visible. Most insurance plans will not cover cosmetic procedures. Botox®, however, has been used since the 1980s in medical capacities, too. If you are being treated for abnormalities of the eye muscles, migraines, muscle stiffness, hyperhidrosis or other conditions where Botox® has potential to produce positive results, your insurance provider may cover the procedure. The cost of a Botox® procedure depends on how many units you receive. Dr. Steve Ahmed will discuss this in more detail with you during your consultation after determining how much Botox® is necessary. Its main use is to treat wrinkles. The severity of forehead lines, creases around the eyes and smile lines can all be temporarily reduced. Botox® can also be used to slightly lift the brow and reduce lines around the neck when the procedure is skillfully performed. Although Botox® is safe, not everyone is a great candidate for the procedure. Women who are breastfeeding or pregnant shouldn’t receive Botox® injections, and people with neurological conditions should refrain from Botox®, as well. Another important fact to remember is that Botox® isn’t the right injectable for every patient and every wrinkle. Different types of wrinkles require different injectables or fillers, so even if you feel comfortable and safe with the procedure, be sure to schedule a full consultation with Dr. Steve Ahmed before deciding whether it’s right for you. That may be the common wisdom on the subject, but there is an alternative to the wrinkles, crow’s feet, and more. 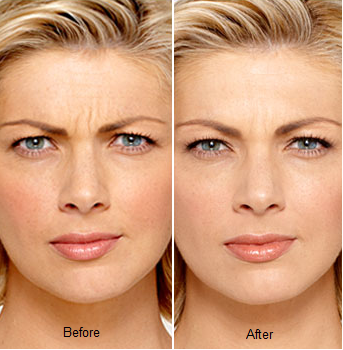 Botox® Cosmetic provides a safe, effective solution for helping you look younger non-surgically. If you’re interested in using Botox® to help you look how you have always wanted, please call (432) 264-1900 to contact Dr. Steve Ahmed. Botox® can help with a variety of age-related issues for women and men. Some of the imperfections most commonly treated with Botox® include wrinkles, crow’s feet, frown lines, forehead lines, and eyebrow wrinkles. In addition to these cosmetic uses, Botox® has been effectively used in treating medical issues such as migraines; hyperhidrosis, which is excessive sweating under the arms; and some forms of bladder dysfunctions. If you are struggling with wrinkles, eyebrow lines, or even migraines or sweating under the arms, Botox® may be the solution for you. As your skin ages, wrinkles and other unwanted features form. These imperfections form for a variety of reasons, including collagen loss, hormonal imbalance, free radicals, gravity, and more. Botox® Cosmetic does its job by blocking the nerve impulse at the site of injection with a safe, natural solution. When Botox® solution is injected, it is done with a small needle, which causes much less pain and bruising. The non-surgical Botox® procedure is typically performed in a doctor’s office to ensure maximum comfort. A Botox® session takes maybe anywhere from ten to fifteen minutes for the injections, with no downtime needed afterward. You can resume your activities and may return to work right away. The result of the treatment is more youthful skin, along with reducing wrinkles and lines. The effects of the Botox® Cosmetic treatment last around four months. Most typically, results are seen within two to four weeks’ time after receiving the treatment. Botox® is the premier wrinkle treatment and is very cost-effective. Botox® Cosmetic injections are virtually pain-free and can help you look more like yourself again. If cosmetic injections of Botox® are what you need, it’s best to get started right away. We, one of the finest medical spa and wellness centers in Texas, offer Botox treatment in Midland, Big Spring, Alpine, Odessa, Snyder, and other adjoining regions. Our pristine facilities, along with a range of distinguished medical-cosmetic professionals, make us a center of excellence when it comes to cosmetic health and wellness. For the best Botox cosmetic treatment in Snyder, Alpine, Big Spring, or Odessa, Texas, visit us. To get started on the path towards a happier and more beautiful look for you, please call Dr. Steve Ahmed at (432) 264-1900 and request more information on Botox® Cosmetic today.